Image: Cindy Ord/Getty Images for SiriusXM, Jon Kopaloff/FilmMagic/Getty Images, Jamie McCarthy/Getty Images. Design: Allie Gemmill/SheKnows. Saving today from becoming just another boring Monday, the Academy of Motion Pictures Arts and Sciences has revealed the first round of 2019 Oscar presenters, and it includes some fan favorites. It looks like there will be at least one more batch of presenters announced, but while we’re cheering for those who made the cut, it’s also interesting to note who isn’t on the first-round list. It seems that the academy is really leaning into doing things differently for the 2019 Oscars, which includes eschewing a single host for who knows what; seriously, we have no idea at this point in time how the hosting situation will be handled. Evidence things are being done differently is also present in the list of the first round of presenters, which includes fan faves like Jennifer Lopez, Chris Evans and Amy Poehler as well as fresh faces who rose to mega-stardom this past year, like Tessa Thompson, Constance Wu and Awkwafina. Here’s the full list of presenters name-checked in the first group, as seen on the academy’s Twitter. 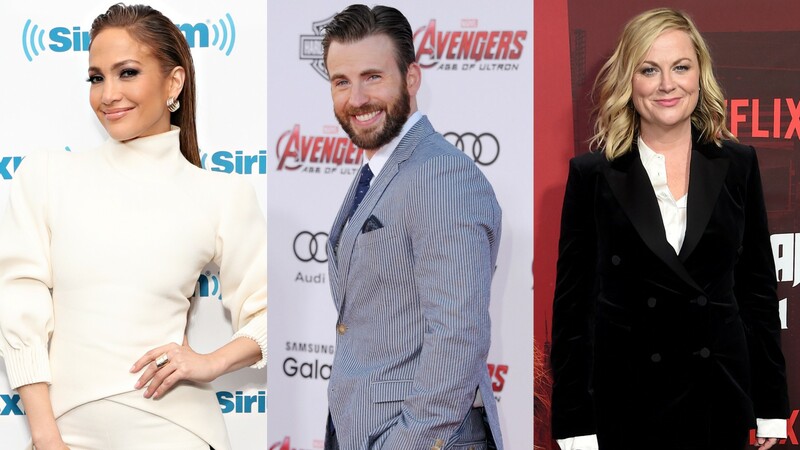 The balance struck between presenting a roster of beloved veteran actors and stars on the rise is very interesting and bodes well for the upcoming award show. Seeing as its somewhat adrift with no host to steer the ship, this first round of presenters indicates to us that, host or not, these presenters will be able to make for an entertaining and cohesive show. No matter what, we’re in good hands. It’s also interesting to note that many of the 2018 Oscar winners — including Gary Oldman, Frances McDormand, Allison Janney and Sam Rockwell (who won in the top acting categories) — are currently not among the confirmed presenters. That could change when the next round is announced, but we’ll just have to wait and see. And speaking of, we’ll also have to wait and see when the next round of presenters will be announced since there is no clear time given for when to expect the announcement. The suspense is killing us, academy! Tell us already! The 91st Oscars will air on Sunday, Feb. 24 at 8/7c on ABC.